Hey bro its me Kevin from the other day at GT AUTO... So i see your reprofiling your cams... is this being done overseas or is GT AUTO doing it for you??? 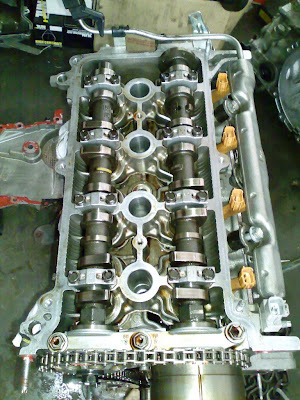 oh about the cams, its part of the head work package done overseas. toby doesn't wanna do any porting nor cam reprofilings by himself. besides he told me he doesn't have the complete to tools to get the job done. so i guess the easier way is to trust him and let him send it over to overseas shop that he trusted.